Rodney Dawson is the Co-Owner and Artist Manager of a label, Street City Enterprises (SCE) located in Oklahoma City, Oklahoma. The label started in 2008 with a longtime friend & Co-Owner of SCE, L-Smooth Mensah. Dawson saw a talent in L-Smooth Mensah during 9 years of talking about music, sports, and boxing. L-Smooth Mensah always did freestyle rapping when riding in the vehicle, at clubs and house parties. This is when Dawson saw a special versatile talent in L-Smooth Mensah and wanted to immediately find him a studio to record a mixtape. 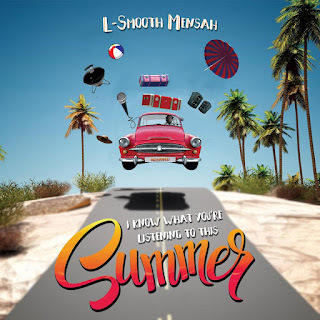 L-Smooth Mensah’s second album, “I Know What You’re Listening to this Summer” on Street City Enterprises was released on August 31st, 2018. Dawson is working to start a press run to promote the new album. He has the skill set to take the right avenues to boost the number of organic fans and proceed strategically to create fan engagement with artists.